Nothing is more refreshing than a nice cold glass of lemonade as the days begin to get even hotter (bay area is reaching mid 80’s this week!). But, sometimes the average lemons + water +sugar just doesn’t cut it so I was so excited when Lauren Conrad provided two new twists on the this classic beverage. 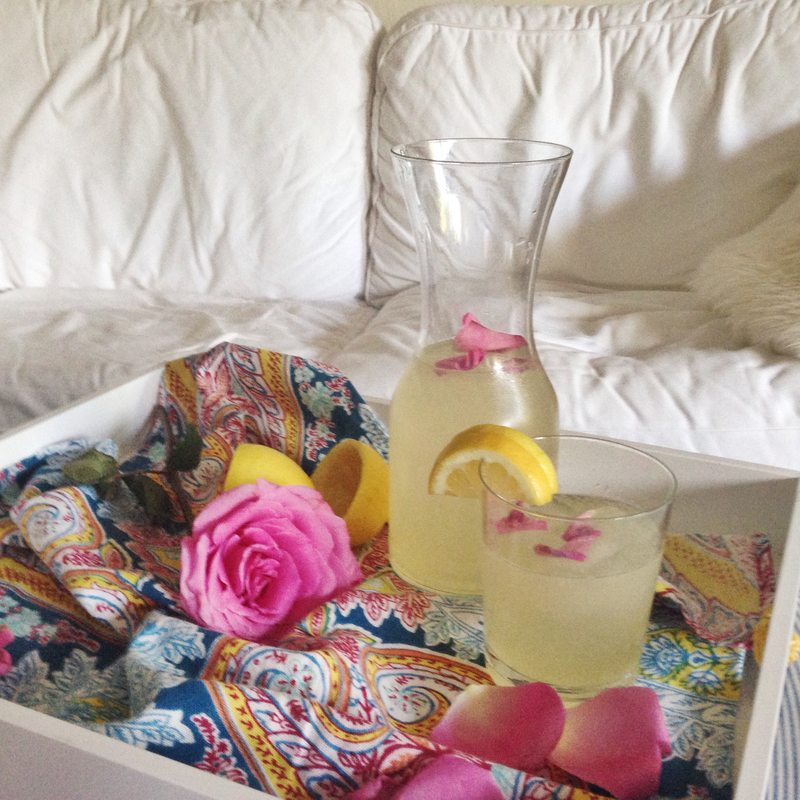 She recommended infusing your lemonade with roses or lavender. Rose infused anything is like the new “it” flavor. I have had rose flavored macarons, ice cream, tea, lollipops and facial products! Everyone is incorporating it with anything and everything and I am totally on board. It seems to make any product a little bit more posh and unique. And not only is it trendy but there are proven health benefits to applying and consuming rose water! Rose infused lemonade is not only good for the soul but for your skin, hair, eyes, healing, etc. Boil enough water to fill an ice cube tray, let cool, then fill tray half way. Freeze. Once frozen, place rose petals in each cube and fill to the top with water. Freeze until all cubes are completely frozen. Heat sugar and water on stove to dissolve sugar. Put sugar syrup mixture in the fridge and let cool for 2-3 hours. Juice lemons. Place lemon juice in a pitcher with sugar syrup, water, and rose water. Stir mixture and pour into glasses. Serve with rose petal ice cubes. 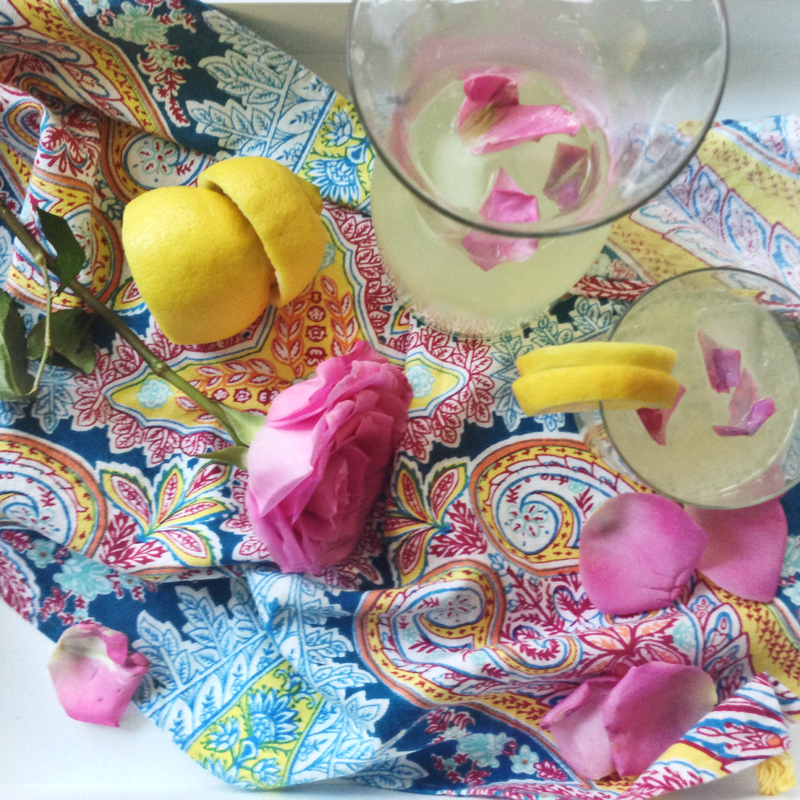 Check out here to learn how to make your own rosewater or buy it here. What are your favorite ways to use rosewater? 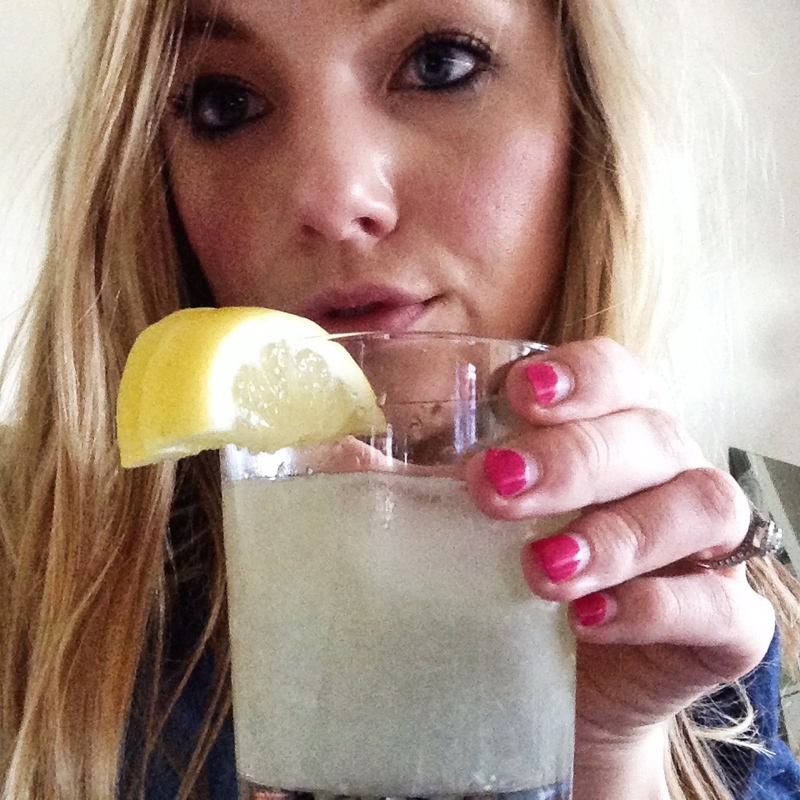 This entry was posted in Recipes, Sips and tagged Lemonade, Rose Infused, Summer on 06/17/2014 by Ems. Although I don’t drink alcohol, I do still make some of the classic drinks because of the great flavors that come together. One of my favorites is a mint mojito. I instantly feel refreshed and in a summer state of mind, which is definitely necessary on a Monday! 1 In a glass, muddle/crush the mint, sugar, lime juice and Simple Syrup. 3 Top with the ginger ale/club soda/sparkling water. 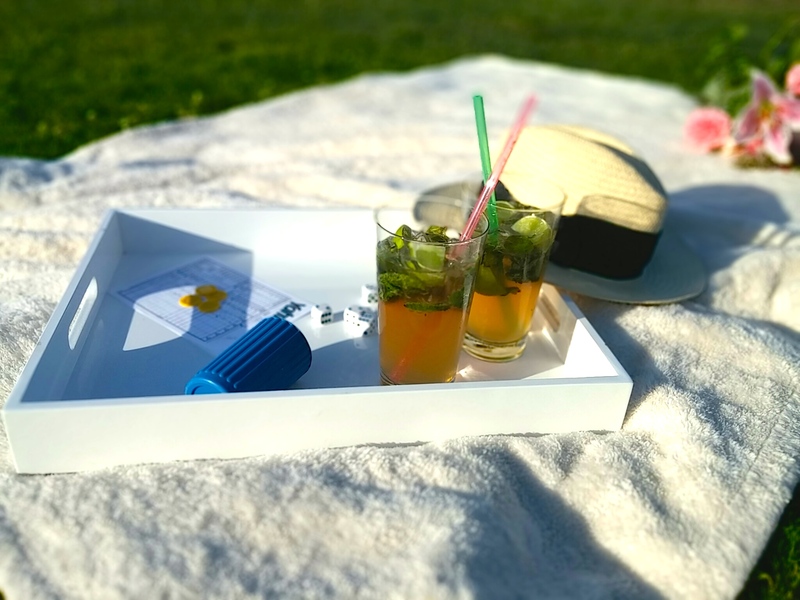 This entry was posted in Sips and tagged lime, mocktail, summer state of mind, virgin mint mojito on 06/09/2014 by Ems. There is a lush orange tree right outside our balcony that always puts me in a better mood and makes me crave anything citrus. One of my favorite citrus treats (besides lemon bars) is an ice cold Orange Julius and the mere sip of an Orange Julius brings me back to my childhood. My mother made breakfast for me almost every day before school –it was how she showed her love. I hope to do the same when I am a mother someday, but will cherish the memories for now. One regular thing she made that I just couldn’t get enough of was Orange Julius. I usually drank it with some eggs and toast to get a balanced meal but I know the Julius was the only thing I was wanting seconds of! The funny thing is, I learned this recipe from my “Teenage Living” class (aka Home Ec) in seventh grade. I brought the recipe home to my mom and she adopted it as her own. Who knew that class would still have an impact on me! Blend well and serve immediately! 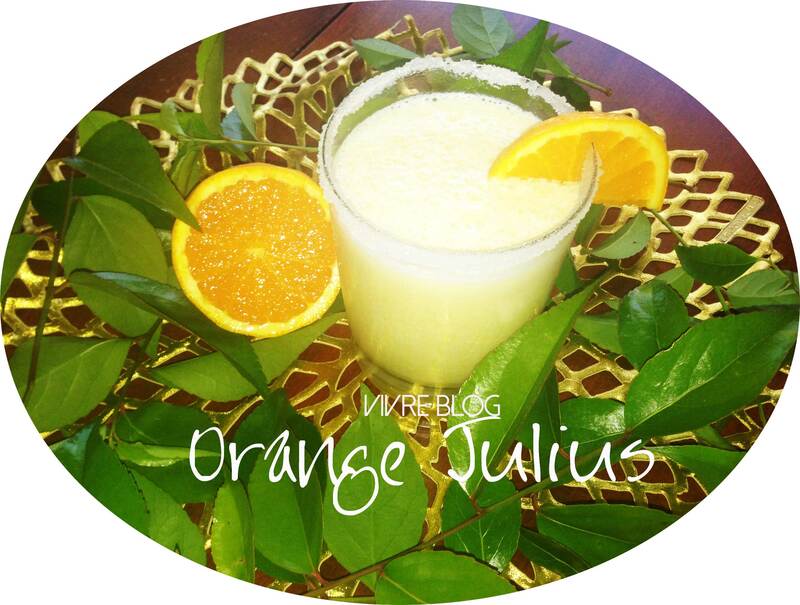 This entry was posted in Recipes, Sips and tagged Orange Julius, Recipes, Sips of Citrus on 05/19/2014 by Ems.